Three International champion choruses... a mass Youth Chorus of nearly 600 singers... a world class organist... and an acoustically stunning concert hall designed around a majestic pipe organ. When these elements are all in place, it’s not difficult to decide how to close the Saturday night show -- get ‘em ALL on stage! One of the many enticing reasons to hold the Midwinter Convention events in the Renée and Henry Segerstrom Concert Hall was the opportunity to showcase the magnificent William J. Gillespie Concert Organ, both before the Saturday night show and as a part of our finale performance. 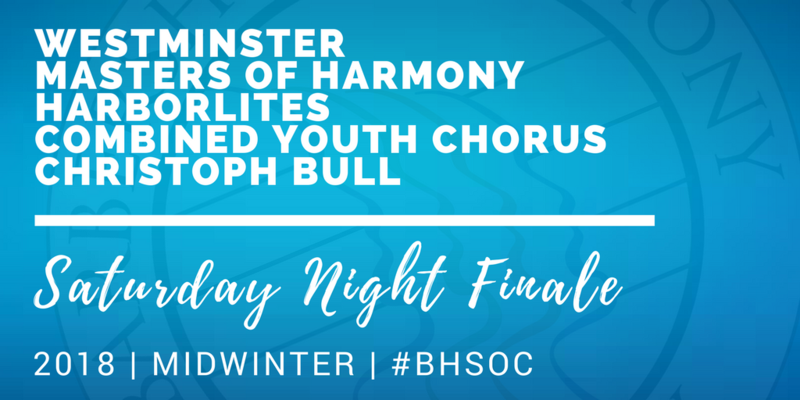 Over 800 singers -- Masters of Harmony, Westminster Chorus, Harborlites Chorus, and our Youth Chorus Festival participants -- will join guest organist Christoph Bull in a performance of Battle Hymn of the Republic. 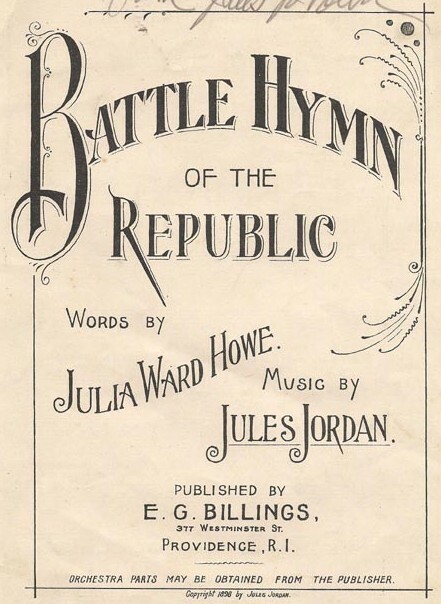 This work is performed widely in concert settings - the music began as a popular song of the day, set to a new text by Julia Ward Howe in 1861. CLICK HERE to see a short video about its origin story. If you're not in Coasta Mesa, you can view this performance (and so much more) by watching LIVE on FloVoice for as low as $29.99. 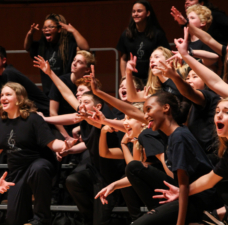 That's two epic shows, the Youth Chorus Festival, and our Seniors International Quartet Contest... plus everything else on their channel! CLICK HERE to learn more. Why this piece of music? We’re glad you asked! 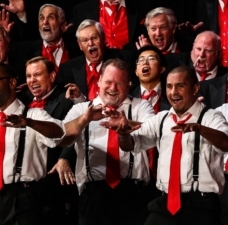 The work could be categorized as both religious and patriotic in nature, so we are mindful that some will consider this selection to be in conflict with the Barbershop Harmony Society’s mission of inclusion. While we hope that you love the performance, we recognize that there will be a range of reactions and respect the opinions of both those that take issue with featuring this particular piece and those that encourage it. Acknowledging these varying opinions is important to us, as is the desire to provide insight into the musical selection process for this unique opportunity. Orchestration - The pipe organ isn’t the most common instrument, and its “unportable” nature means that you don’t find many outside of churches and concert halls. For this reason, literature available for choir and pipe organ is limited, and are most often sacred works. A more traditional choice also better suits the organ as accompaniment, as opposed to adapting something more contemporary that might not work as well. 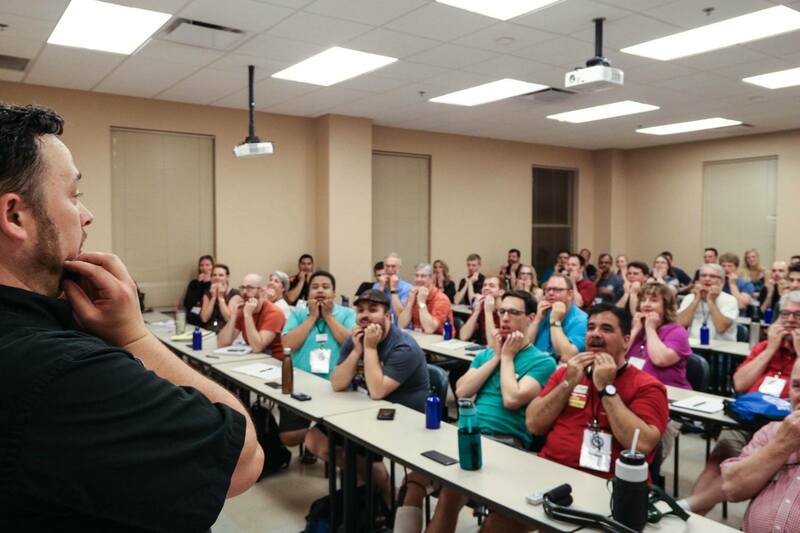 Level of difficulty - Our chorus singers range from experienced competitors to those who are brand new to singing in an organized group. While we want our singers to be challenged, it’s also important to avoid selecting music so difficult that the average singer will be overwhelmed and discouraged. 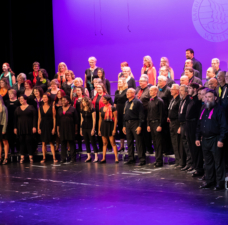 Our aim was to find a middle ground that would be interesting to both singers and audiences alike, and allow for a positive experience for the participants while preparing the music for this one-time event. Musical accessibility - For the two reasons above, our search for just the right song begins with a fairly short list of options, and grows even shorter when foreign languages and sacred texts are removed. 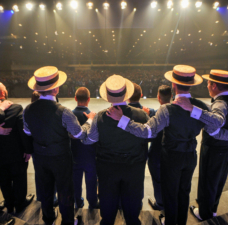 Barbershop groups are often encouraged to sing songs that are recognizable, so we are taking our own advice! 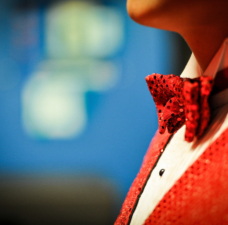 Sense of occasion - As any good show organizer or music director will tell you, a finale piece should have a sense of grandeur and importance. This arrangement will end the show on a dramatic note, a musically impressive close to the stage festivities. We think it will be a fantastic experience for both performers and audience alike, and hope our audience views the performance as we intend: a collaborative showcase of our singers in a magnificent space, sharing music together!